The role of data has never been more important in understanding consumers, their habits, and what drives buying behaviour. Marketers now have access to data from a variety of different sources, such as purchasing data, social media, customer service interactions and web searches. However these are just a few of the elements comprising what has become known as big data. This huge amount of data can be leveraged to gain insight about consumer behaviour, ultimately influencing decision making and creating targeted, successful campaigns. But amid concerns over consumer privacy online, brands and marketers need to be aware of what value this data really holds, and how it can be used without crossing a line with consumers. All brands can have access to data and use technology to make recommendations, but the skill is being able to give customers a real sense of direction. The more a business knows about its customer the more it can shape their experience by delivering targeted and relevant content. A regular visitor to a specific website should begin to receive a more personalised UX (user experience). If the company recommends products that may be of interest, based on the data they have previously entered, the chance of increased click-through rates grows dramatically. Data is no longer just about names and addresses on a spreadsheet but it is knowledge into how your customer base shops. Having this insight can transform how a consumer views a brand - the more personalised their experience the more likely they are to share it. You want to grow. To achieve this, you plan to reach more customers in both your current market and new markets. You reckon you know what these customers look like in theory, but there’s a hitch… do they actually exist? 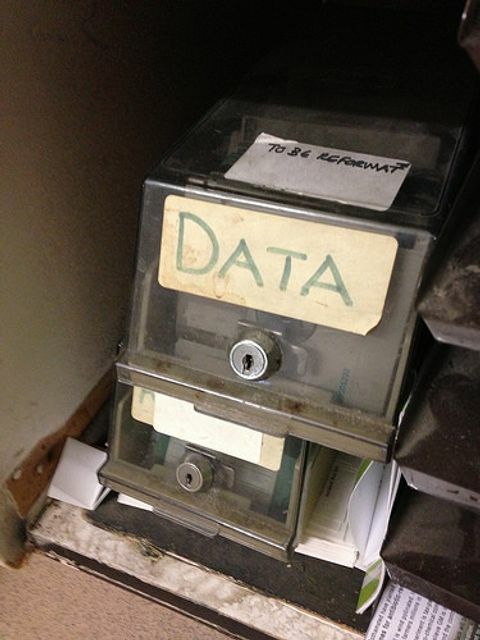 There’s only one way to find out; you need data. Will Facebook's new algorithms affect your business?